Tomas Hrustic is a resident program coordinator in Slovakia where he works on NDIs program with Roma communities. He is currently a doctoral candidate at Comenius University in Bratislava, where he is preparing his dissertation in comparative religion on Ethnicity and Religion-Religious Conversions among Roma in Sobrance. During his academic career, Tomas has tackled a wide array of field research subjects related to the political involvement of Roma; folk religiousity; domestic violence; and the transmission of religious and superstition concepts. He has participated in research for and cooperated with such organizations as the Milan Simecka Foundation, the Teaching Human Rights in Europe project, the Institute for Public Affairs, S.P.A.C.E., the Government Plenipotentiary for Roma Communities and the United Nations Development Programme. In addition, Tomas has taught courses and delivered lectures at Comenius University, the University of Wien, and the Regional Education Centre in Pezinok. He has authored several academic articles on comparative religion, as well as a Slovak language translation of John Davidson s The Gospel of Jesus-In Search of His Original Teachings. Tomas has earned scholarships for study at the University of Szeged, University College London and Charles University in Prague. He is a member in good standing of the Slovak Society for the Study of Religion and the Sasakawa Young Leaders Fellowship Fund. In addition to fluency in English and Slovak, Tomas enjoys intermediate proficiency in Romany, a dialect of East Slovak Roma, and basic skills in German and Polish. 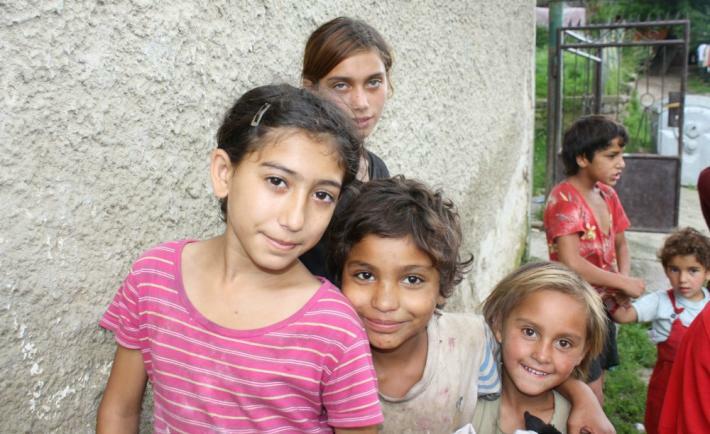 Recent anti-Roma speech throughout Europe, including in Slovakia, negatively impacts Roma children like these, photographed by Nadezhda Mouzykina in a segregated Slovak settlement. Editor's Note: Stanislav Daniel, NDI Roma Political Participation Program Alumnus and Coordinator of Romani Early Years Network, contributed to this piece. Slovakia’ ruling SMER party convened its annual congress in December. Although a social democratic party now in power for a number of years, the congress had the unfortunate political trappings of a populist, right-wing gathering. Instead of pronouncing on poverty and inequality and other issues important to all citizens, the party chose instead to scapegoat Slovakia’s most vulnerable constituency—the Roma—as public support for a far-right political alternative grows.